From single-person operations to a full-fledged team, we all want to be productive. Every year a new research study is introducing new theories for revolutionizing team productivity and efficiency. With that said, it can be hard to pinpoint the right tactics. As workplaces and tech have evolved, new discoveries work better for certain teams than others. Let’s take a look at some of the common myths that are out there. It’s time to correct some the illusions of office productivity and discuss the proven ways of increasing team productivity. Reality: Most open office concepts are flawed from the get-go. Supporters of open office spaces gush about them, and though it’s aesthetically pleasing, is it best for your work? They love the ability to drive office culture through real-time discussion and a flatter hierarchy. The problem is, that’s largely an on-paper concept. It caters to a mindset where every employee is the same. And unless a company is devoid of personality or autonomy, this often isn’t always best. One way to make open office space work is customizing the concept to fit the team. Nowadays companies are supporting their own variations of open floors, stopping just short of traditional office layouts. From creating established quiet zones to increasing privacy, more teams are finding a comfortable medium between too traditional and too modern. Reality: Some individuals opt for complete silence. However, it often stymies the productivity that music can often provide. Think about it, how do you feel when your favorite music is in your ear? You’re a bit more driven. Ready to take on your day, right? Music can have a positive impact on productivity, particularly for certain roles and responsibilities. Quartz performed an entire study on music in the workplace. Listening to music while working is multitasking. Still, the right selection can make you feel more energetic and improve your overall mood. Music can also act as that privacy barrier for blocking out distracting background noises, especially in open offices. The trick is to choose your music wisely and fit it to the tasks at hand. On the other hand, music can also impair your work. When silence and music were put head to head in more cognitively complex tests, the Atlantic says people did better in silence. The more engaging the music is, the worse it is for concentration. Although lyric-free music is less distracting, it’s best that you personally find a fit that aids productivity rather than adds to distraction. Reality: The early bird gets the worm, right? Well, the lion gets the buffalo at night. And while we’re at it, the komodo dragon gets the deer in the afternoon. As long as you’re getting up on time, you can be productive. The morning shift isn’t the only time out there. Instead, set the parameters that work best for your team or yourself. This will allow for the best work to get produced. You should measure the effectiveness by your metrics for success. As long as deadlines are met, and communication is thriving, work should be viewed as a fluid task. Reality: Zapier, Xerox, the U.S. Department of Transportation. Know what they all have in common? Telecommuters are 14% more productive than their in-office colleagues according to a study released by Stanford University. Research found that working from home increases performance and productivity while also decreasing the number of sick days taken. They all hire remote workers! The notion that working solely from the office hinders teams from being the most productive and proficient is a theory of the past. The misconceptions about remote work are far from the value they actually provide. In this arrangement, team members often feel more relaxed and free. Additionally, the company saves money on office costs. Flexible, remote company cultures like these breed environments with less turnover and often a stronger sense of collaboration. That said, IBM recently recalled all its remote workers. So, the evolution of the office could make this myth a reality once again. Reality: Plain and simple, lack of sleep is killing the workplace. Stop embracing the grinding, hustling mindset. Instead, embrace the hustler that grinds, as well as takes the time to recharge. If you choose to embrace the former, you’re hurting the office. 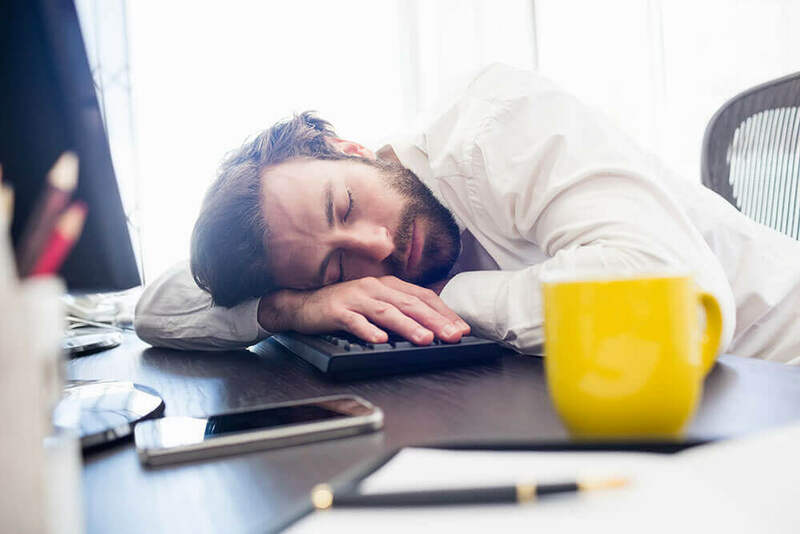 A study from Harvard University found that American companies lose nearly $63.2B annually because of employee sleep deprivation. Lack of sleep doesn’t just impact on not just productivity. It also alters physical health and social skills. Attention spans and creativity wanes throughout the day, getting enough sleep is necessary for performing to the best of your ability. Embrace the pillow from time to time. Reality: Work and negative office peer pressure can impact even the best employee. Be it physical, emotional, intellectual, or behavioral effects, pressure isn’t always a good catalyst for productivity in the workplace. Pressure usually creates burnout and a loss of interest in a role. This creates rampant declines in individual and team productivity. While some managers might believe the results of pressure are worth the tactic, it rarely produces the ideal ROI. Factor in the cost of turnover, new hire training, productivity declines and other consequences and it becomes apparent. Use pressure sparingly to get more out of your employees. Businesses are always looking to make their teams that much more efficient and productive. Although there are several myths that don’t necessarily lead to the ideal productive workforce. Efficient and progressive teams approach these productivity myths with a little personalization of their own. Andrew Ward is a writer, marketer and aspiring designer. He has contributed to AOL, Vibe, and the Upright Citizens Brigade. For more of his work, visit www.iamandrewward.com.